The India pallets market is segmented on the basis of material type, structural design, and end use. On the basis of material type, the market is segmented into wood, composite wood, plastics, metal (steel and other metals), and paper. On the basis of structural design, the India pallets market is segmented into block pallets, stringer pallets, and customized pallets. On the basis of end use, the India pallets market is segmented into engineering products, agriculture & allied products, pharmaceuticals products, chemical & petrochemical products, leather products, electronics products, marine products, textile and handicraft products, and others (food and beverage). Pallets are load bearing structures that serve as a rigid base for the transportation and storage of various materials and products that make up as the unit load. These pallets are usually handled by forklifts or pallet jacks. 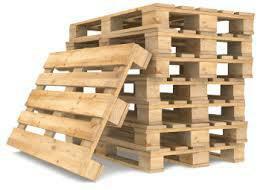 In most of the cases, pallets are rectangular in shape and occupy an area of one square meter or more. The demand for pallets in India is expected to increase at a Y-o-Y growth rate of 9.3% in 2016 over 2015. The India pallets market is estimated to register a CAGR of 13.9% during the forecast period (2016-2024). These are the key findings of a report titled “Pallets Market: India Industry Analysis and Forecast, 2016–2024” by Persistence Market Research. Factors and trends affecting the growth of the India pallets market during the eight year forecast period of 2016-2024 have been analyzed in this report. Demand for pallets in India is expected to increase at a significant rate due to the growth of the manufacturing sector in India. Increasing demand for safe transportation of products is also likely to propel the growth of the India pallets market. Moreover, rise in the development of the warehousing and logistical structure in India is anticipated to boost the growth of the India pallets market in the near future. However, the decline in international trade may restrict the growth of the pallet market in India. Additionally, the penetration of pallets in a labor intensive industry is a major challenge for the India pallets market. One of the major trend in the India pallets market is the usage of pallets in large chain retail stores. Most of the key players operating in the India pallets market adopt pallets for the transportation of their products. The India pallets market is expected to reach a value of US$ 2,744 Mn by 2024 end, registering a CAGR of 13.9% during the forecast period. The Wood segment is expected to dominate the India pallets market throughout the forecast period. However, the Plastics segment is expected to increase at a significant rate over the forecast period. Moreover, the Steel segment is likely to dominate the metal category in the India pallets market during the forecast period. The Block Pallets segment is likely to dominate the structural design category and is likely to grow at a CAGR of 12.4% during the forecast period. The Engineering Products segment and Pharmaceuticals Products segment are estimated to collectively account for over 40% share of the India pallets market by the end of 2016. Key players in the India pallets market include Swift Technoplast Pvt. Ltd., Mekins Group, Schoeller Arca Time Material Handling Solutions, Total Pack, Saraswati Engineering Ltd., LEAP India Pvt. Ltd, DNA Packaging Systems, Doll Plast Pallets and JIT Wood Packaging. The India pallets market is highly fragmented with the unorganized sector accounting for a larger share of the market. Key market players operating in the India pallets market focus on launching new products and forming strategic alliances and joint ventures to strengthen their position in the India pallets market.